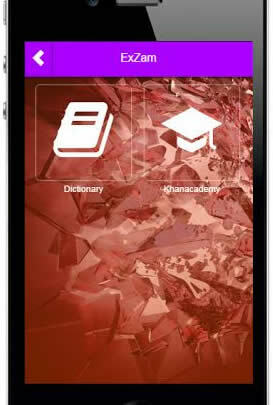 This new app will boost the effectiveness of your studies! It’s all simple. It’s all fast. It’s all easy. Some believe that homework and assignments are unnecessary and cause stress among students and teachers. But these are the very two things that contribute to long term success. And ExZam, our academic scheduling app, is dedicated to making these two things more effective! ExZam a study tool in the form of an app. It is specifically designed for secondary school student so they will be the main target market. Our business will help students stay organised and achieve success within their academics. We will charge $1.50 in order to purchase the app. This is an ideal price as the app includes many features. The revenue for the app will come from customers purchasing the app but only 70% or $1.05 of the purchase will go to the business and 30% or .45c will go to Apple. We can also make more revenue out of this by having advertisers advertise their products. Customers will learn about our business from advertising or from previous customers. If something is useful, you are sure to tell someone else about it so referrals will be a useful advertising technique. There are 3.5 million secondary school students in Australia. But in order to purchase the app they will need a smart phone or device which approx. 45% of the students own. The statistics now narrow down to 1575000 students. This is only an estimated number it is not certain that there will be these many costumers. 157500 × 1.05 (Revenue of one sold app) = $165375 of revenue will be the approx. annual income. Concern- getting the product out there and convincing people to actually purchasing it. $1.50 may be slightly pricy for an app but you would need multiple apps for the features included (such as music, schedules and study tips) rather than a single app. We will also post testimonials by previous buyers so potential buyers can evaluate their decision.